If you’re a member, you must sign in to see this content. You can sign in here. Psst... Hey, did you enjoy this article or have a question? I'd love to hear from you! Please click LIKE, and leave a comment below to let me know! 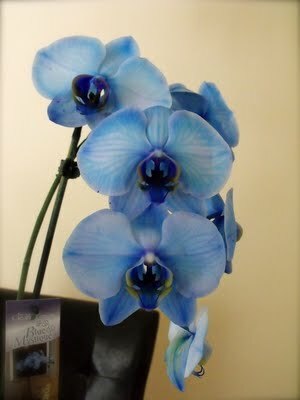 “Thank you so much for the orchid advice - What a treasure! The tips on what to do with the orchid after it's finished blooming have been invaluable to me. I had 14 blooms for months...slowly lost one at a time. Now, just leaves. I wasn't watering it, on the advice of another orchid maven, but my daughter-in-law said you ARE supposed to water it daily... I was so confused! Now thanks to you, I know what I should REALLY be doing once and for all - this book is a bargain! - Susie"
“Ryan, This is exactly what I would want to know about orchids. All that information packed nicely into one book, and above all, its so easy to read. The questions are answered before I even think of asking them! Brilliant!  This is the most comprehensive and informative book on orchids I've ever seen. Want to Sell Our Book? Want to Advertise on Our Website? Want Us to Advertise on Your Website? Copyright © 2019 Orchids Made Easy. All Rights Reserved.